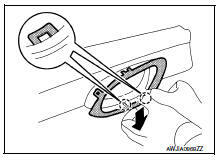 With suitable tool (A) in position, insert a second suitable tool (B) as shown, then release pawl as shown. 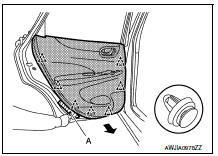 Remove rear power window switch finisher. 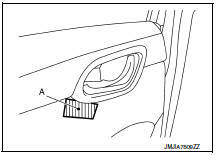 Refer to PWC-72, "Removal and Installation". 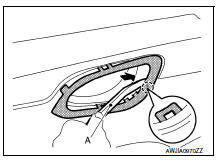 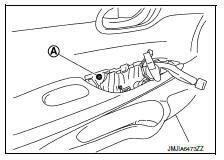 Remove rear door finisher screw (A). 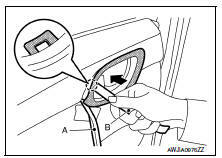 Release rear door finisher clips using a suitable tool (A) as shown. 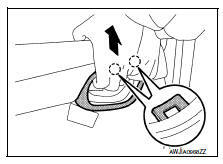 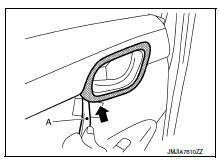 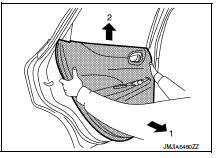 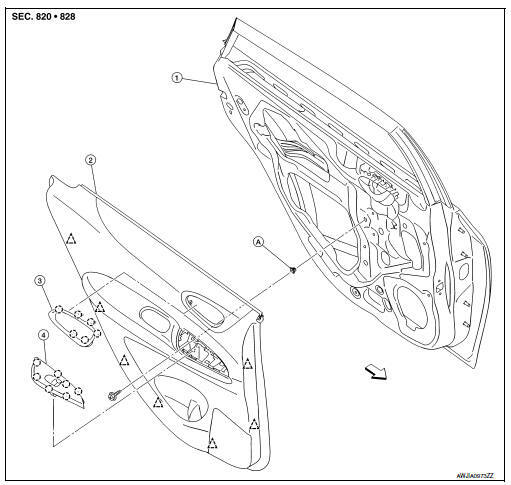 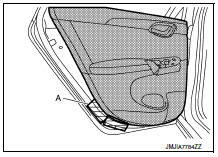 Remove rear door finisher as shown.